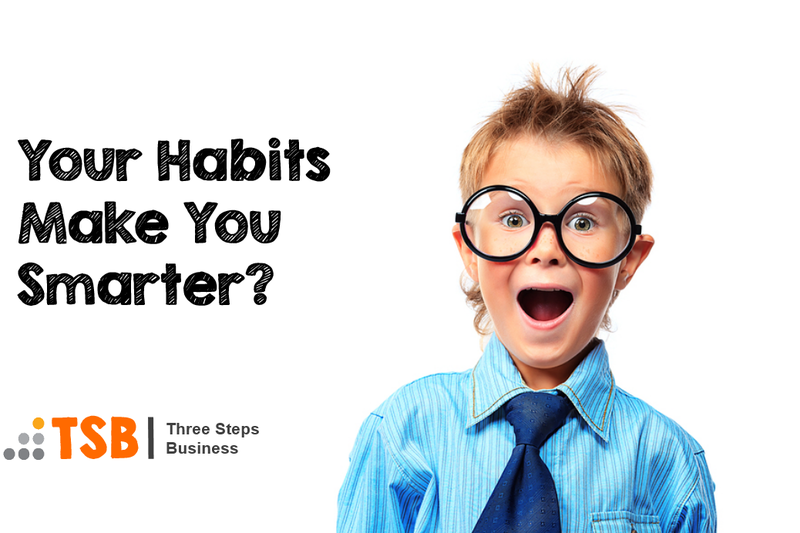 Smart People Habits – Do Your Habits Reflect How Smart You Are? Intelligence Quotient (IQ) is an indicator of an individual’s mental abilities relative to others of approximately the same age. Want to follow in the footsteps of some of the world’s smartest people?! Albert Einstein did not speak until he was 4. His IQ was 160. Bill Gates’s first business failed. His IQ is 160. Thomas Edison had 1,000+ lightbulb attempts before one worked. His IQ was 145. Ben Franklin dropped out of school at age 10. His IQ was 160. Beethoven was told he would never succeed at writing music. His IQ was 165. The benefits of reading are numerous. It increases verbal, problem solving and critical thinking skills, as well as improves articulation, concentration, writing and memory. Take note: Reading 15 minutes per day will expose you to more than 1,000,000 words a year. Metacognition is the self-awareness of one’s own knowledge. It encourages critical thinking and helps maximize cognitive skill. Cognitive skills include comparing, analyzing, and inferring. Studies show that intelligent children are more likely to drink as adults, compared to their peers. Those with IQ less than 75 drink less than once a year, while those with IQ greater than 125 drink once every other month. A British cohort study tested children’s IQs at age 5, 10, and 16. Thirty years later, they were asked if they used drugs in the past year. Boys with IQ greater than 107 are 2X more likely to use illegal drugs during adulthood than their peers. Girls with IQ greater than 107 are 3X more likely. A 1995 demographically controlled study surveyed IQ levels of 20,000 students. Ten years later, they checked their sleep patterns. Those with an IQ less than 90 go to sleep before midnight, while those with an IQ greater than 90 go to sleep past midnight. In a 2012 study, patients with generic anxiety disorder exhibited higher IQ scores than healthy volunteers. Chronic anxiety can lead to depression, smoking, and neuroticism. Remember, while extreme intelligence has some negative associations, exhibiting these traits won’t make you smarter! Which side are you tending to?